HARD TO SAY: HOBANZ founding member Roger Levie says we'll never know the full cost of leaky homes. The county will likely never know the real cost of the leaky homes. That last estimate was the 2009 PricewaterhouseCoopers report into how many leaky buildings were built in the 1990s and early 2000s, many using the now-infamous monolithic cladding. It concluded up to 42,000 homes could be at risk with a combined repair bill of $11.3 billion, or $12.4b in today's money, though some believe nearly 90,000 homes and a cost of over $20b are closer to the mark. But nobody really knows, and despite a report from the Ministry of Business, Innovation and Employment calling for a new investigation last year, there are no signs that will happen. And while nobody knows how much has been spent on repairs and who has stumped up the cash, a jigsaw of statistics indicates the lion's share falls on leaky building owners. 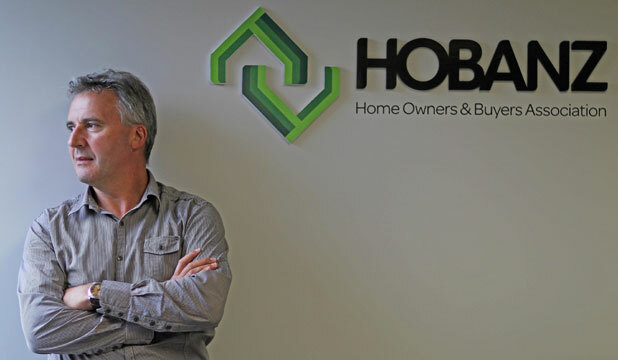 Roger Levie, chief executive of homeowners' group Hobanz, estimates around 15 per cent of leaky buildings have been "remediated," leaving the vast majority damp, cold and unhealthy for the occupants. In most cases, the owners would have ended up paying somewhere between 40 and 60 per cent of the repair costs, Levie believes. It will take decades for all leaky homes to be repaired or pulled down, partly as many owners haven't the money or borrowing power to fix them, and partly because no-one condemns unhealthy buildings in New Zealand. There have been three main routes to compensation. The best-known is the Weathertight Homes Tribunal, set up in 2002, to spare leaky homeowners the stress and cost of the higher courts. The number of new claims made to it is dropping off fast. A Government report published late last year revealed 6945 claims covering 10,303 dwellings had been lodged since the tribunal was formed. Just under half (49 per cent) were discontinued, while 29 per cent have been resolved, many through mediation, which results in confidential settlements. That's a relatively small number of cases that came to a settlement compared to the 42,000 to 89,000 estimates of leaky building numbers. Then there are claims through the higher courts. In October last year, there were 428 active cases before the High Court, mostly in Auckland. Many were for multi-unit apartment buildings, so the number of leaky building owners involved would have been higher than 428. Many claims taken to the High Court are ended by settlement, and secrecy shrouds their outcomes. Council insurance fund Riskpool general manager Juliet Martin would not give figures on council payouts, since most, if not all, settlements included a confidentiality clause. It was not in councils' best interests to document the historical necessity for them to meet the lion's share of settlement monies, "as it obviously sets precedent going forward," she said. In a Fairfax Media article in mid-2012, the 14 most exposed local authorities expected to pay about $750 million. For those unwilling to use the tribunal or the higher courts, in 2011 the Government created the Financial Assistance Package, of FAP, under which qualifying homeowners could get a 25 per cent Government contribution to repairs, and in many cases 25 per cent from a culpable local council. It appears to have had limited impact, perhaps covering claims accounting for less than 2 per cent of leaky homes, assuming 42,000 is the right figure. It is being reviewed, but Levie doubts any changes will be made. The positive spin the Government would get from changes before the election would be dwarfed by the cost, he said. Since the Financial Assistance Package (FAP) began 1374 claims have been made, and, as at 17 December 2013, 1065 claims (representing 3049 homeowners) qualified for the Government contribution. A total of 527 claims (1046 homeowners) also qualified for a payment from a local council. The total cost of the Government contribution for qualifying claims is estimated at $123.3 million.